Columbia University's Graduate School of Journalism recently celebrated the 2015 winner of the Maria Moors Cabot Prize, the oldest international journalism award. The Cabot Prizes honor journalists who have covered the Western Hemisphere and furthered inter-American understanding through their reporting and editorial work. All five winners were men. It's profoundly disappointing to see an award completely ignore the essential voices of women reporters who are working on these critical issues. When there are five available slots for winners, what does it say when every single prize goes to a man? 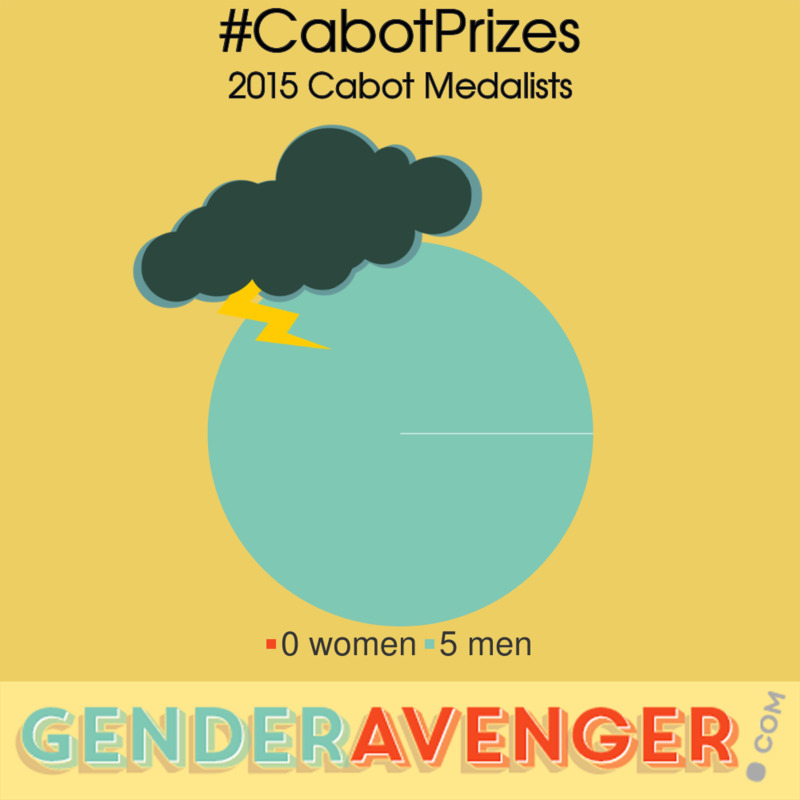 Show the #CabotPrizes that we're paying attention and that it's time to value women's voices.